Before we begin, lets just get a few things out of the way first. Yes I actually am able to write blog posts. No I haven’t ever written one before this very moment. And of course: yes, I procrastinated writing this enough that Ali release part 3 before I even wrote part 2. Shes way better at accomplishing things than I am. On to the blog. When I first heard my friend Nigel was getting married in Mexico, I was excited at the possibility of exploring a new country. 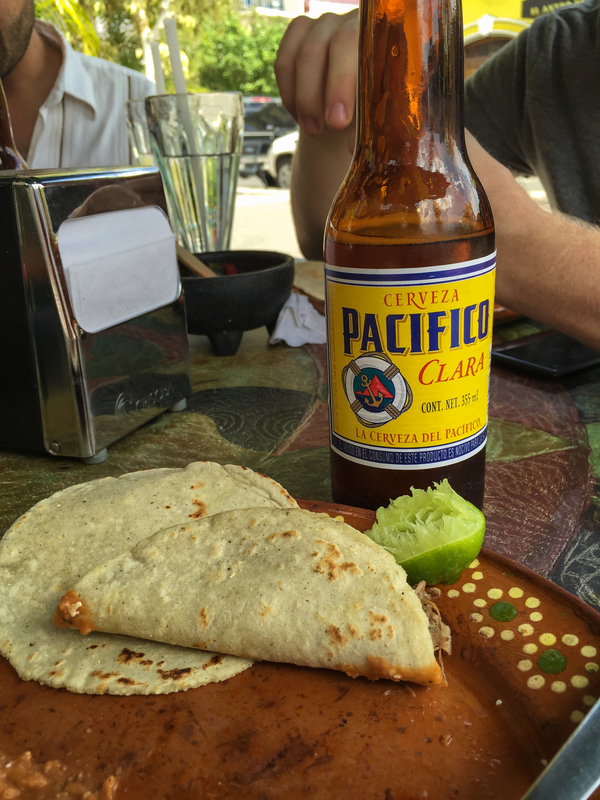 Having never been to Mexico before, my hope was that I could see the “real” Mexico and take in a bit of culture along side some delicious and authentic food. Unfortunately, I wasn’t sure how many vacations days I could use which lead to Ali planning a lovely beach trip in Puerta Vallarta without me. Upon realizing I would actually be able to make a week in Mexico work, it was too late for me to barge in on Ali’s vacation with her mom. No problem: I have a few friends that live in Mexico that were happy to show me a round a bit. Some friends, happily showing me around. It was quickly decided that Guadalajara would be the city when myself and my friends Chris, Justin, and Brian would convene. 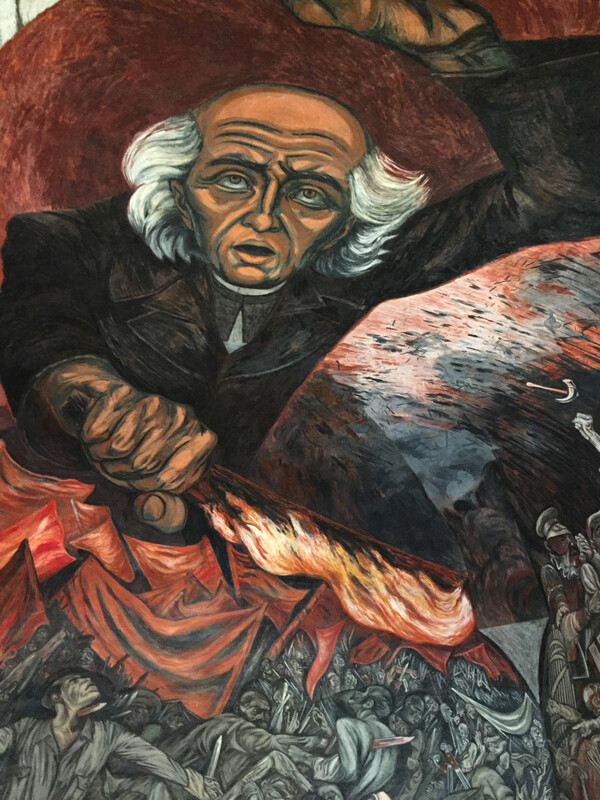 Guadalajara was chosen for a few reasons: its close to Puerta Vallarta, it has reputation for good food, and its the largest city of the Mexican State Jalisco. My arrival alone in a new country where I marginally understood the language was actually quite uneventful. Most airports in Mexico seem to have an official taxi stand where one can grab a cab to your desired location and be relatively certain you are getting one that is legitimate. I was warned ahead of time that the bus was a much cheaper option, but given the exchange rate I was willing to risk it. I think it cost me a total of $18 for a 45 minute cab ride. This would be the most expensive transpiration of my entire stay. Justin had graciously rented a place for us to crash in that was located in a quite neighborhood. It matched my expectations perfectly: bright blue exterior, a couple of bedrooms, a guayabera on the clothesline, and a mostly empty bottle of Jack Daniels in the cupboard. 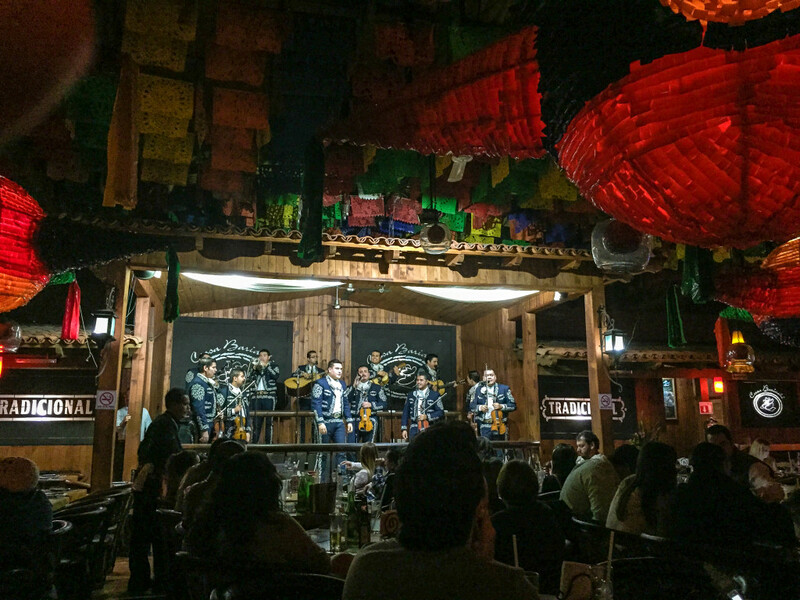 Guadalajara is considered the home of Mariachi, so the first night out we decided to hit up a bar known for Mariachi – Casa Bariachi. We were able to get a great table, and quickly tucked into some guacamole, tacos, and of course tequila shots. 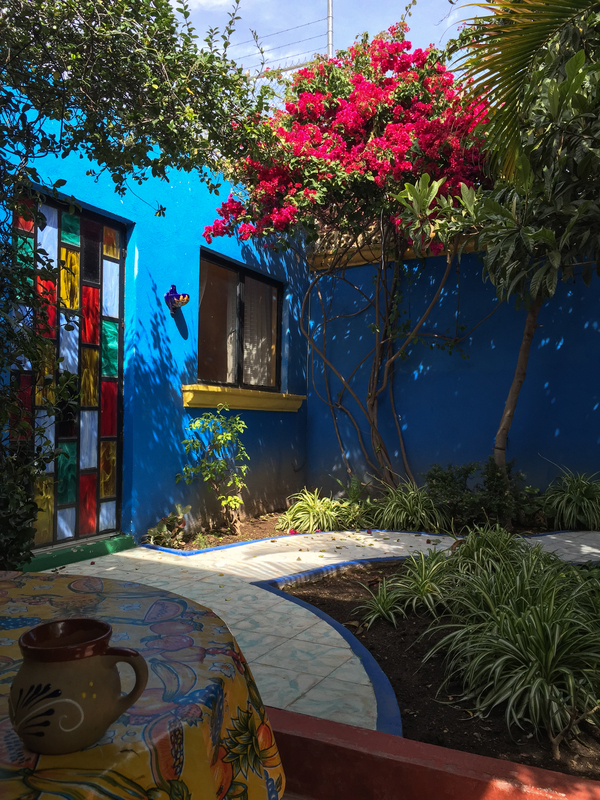 Once the show was over, we meandered back to our little casa to rest up for a day of sightseeing. Taking in a little Mariachi… and tequila. When hanging with your friends in a foreign city where beer is safer and cheaper than water, its good to have some ground rules. In order to not spend the entire day bellied up to the bar, we decided to enforce a strict culture to beer conversion. Experiencing a single culture could net you upwards of three beers. Needless to say, we were motivated to see a lot of culture. Our first stop was an area know as the Nine Corners – or its spanish equivalent. 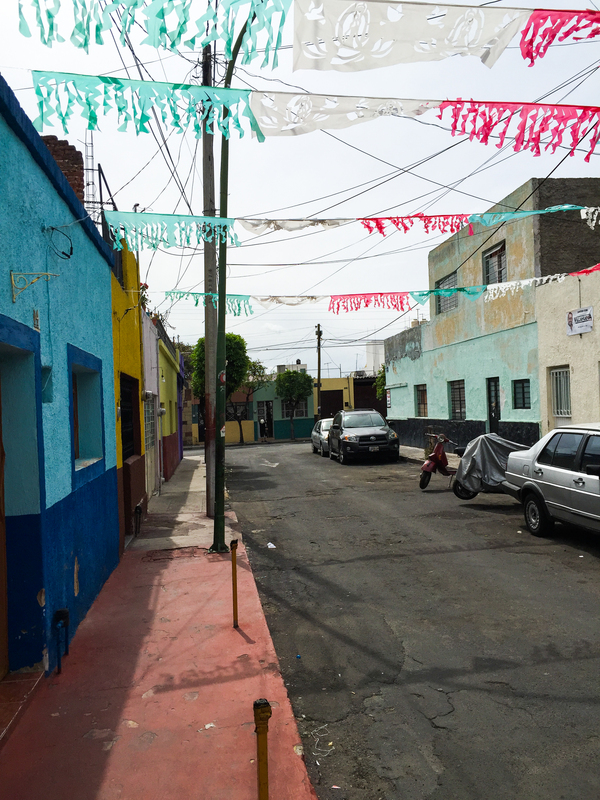 This is an area famous for its Birria which is a spicy stew usually made from goat. We ate ours with corn tortillas, lime, and the best raw onion I have ever experienced. Seriously, I don’t love onions and these things were amazing. If you are keeping track, that is one culture down for a three beer deficit (well one, after lunch). 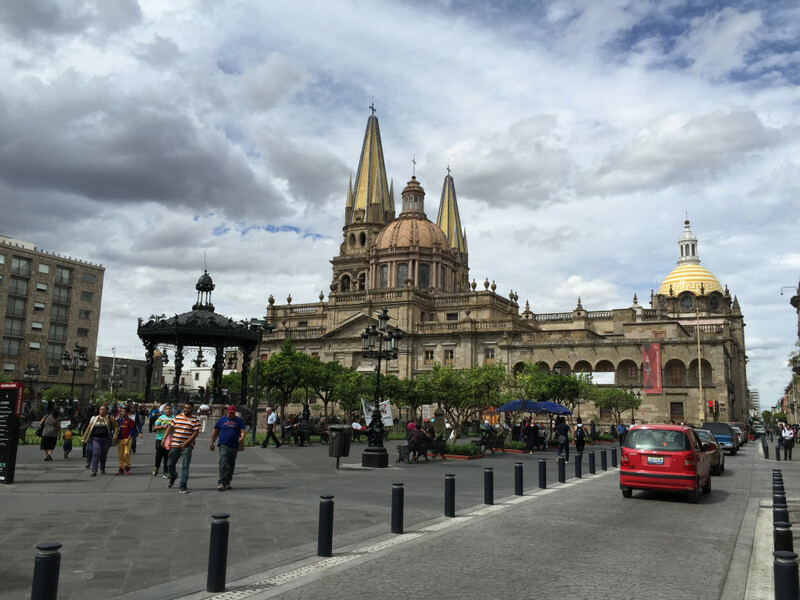 To keep the culture train rolling, we stopped by the Guadalajara Cathedral as well as quite a few municipal buildings. We made an honest effort to stop by quite a few museums, but turns out they are all closed on Monday. Still counts. To round out our culture, we stopped by Cantina La Fuente, which has been around since 1921 and looks like it has barely been touched since then. Two birds, one stone. 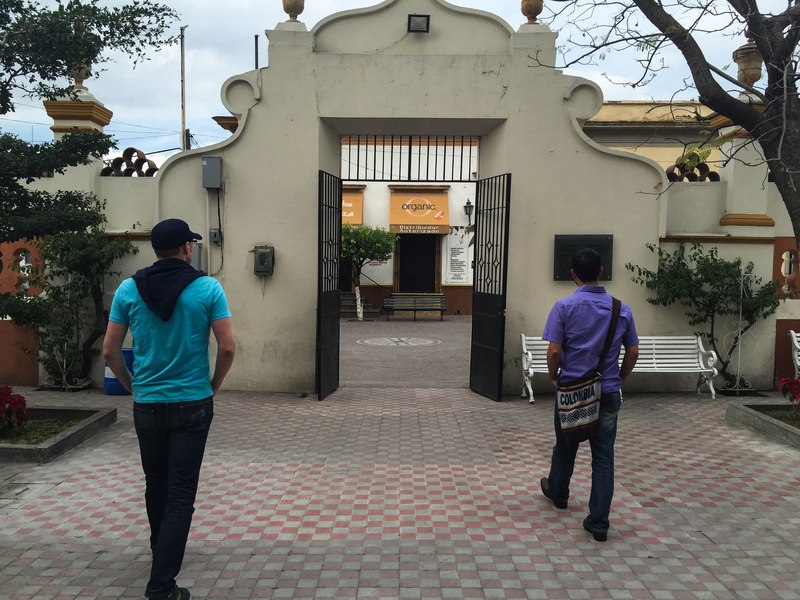 On Tuesday, we headed down to a pedestrian area know as Tlaquepaque to see a few cathedrals and grab some lunch. 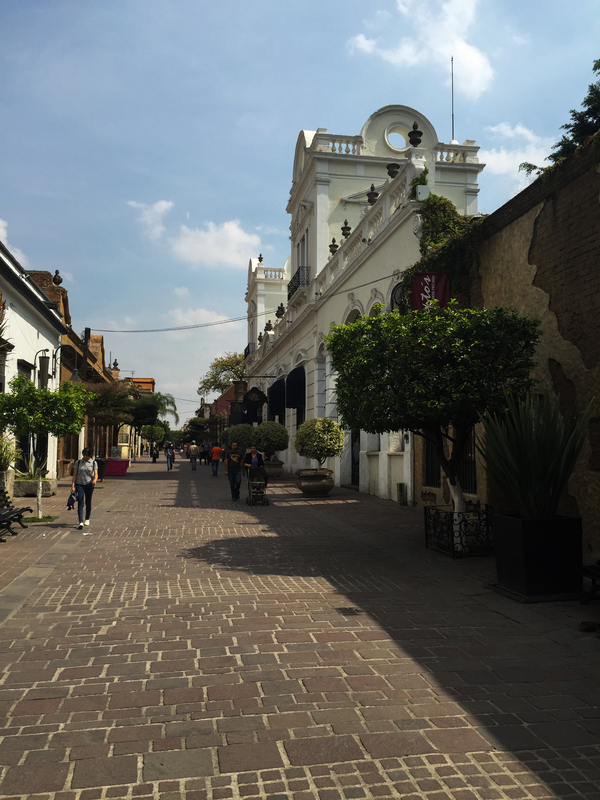 This area is mostly closed to cars, so locals come here to stroll, sit in the park, and do tequila tasting (or maybe that’s just us tourists). Sitting outside in the 75 degree weather and basking in the sun, I was amazing to see most locals walking by wearing jackets and sweatshirts. Clearly I am not genetically inclined for the heat. We concluded our Tuesday by meeting up with our friend Tania who had just arrived, and eating at a truly incredible burger bar named Pig’s Pearls. 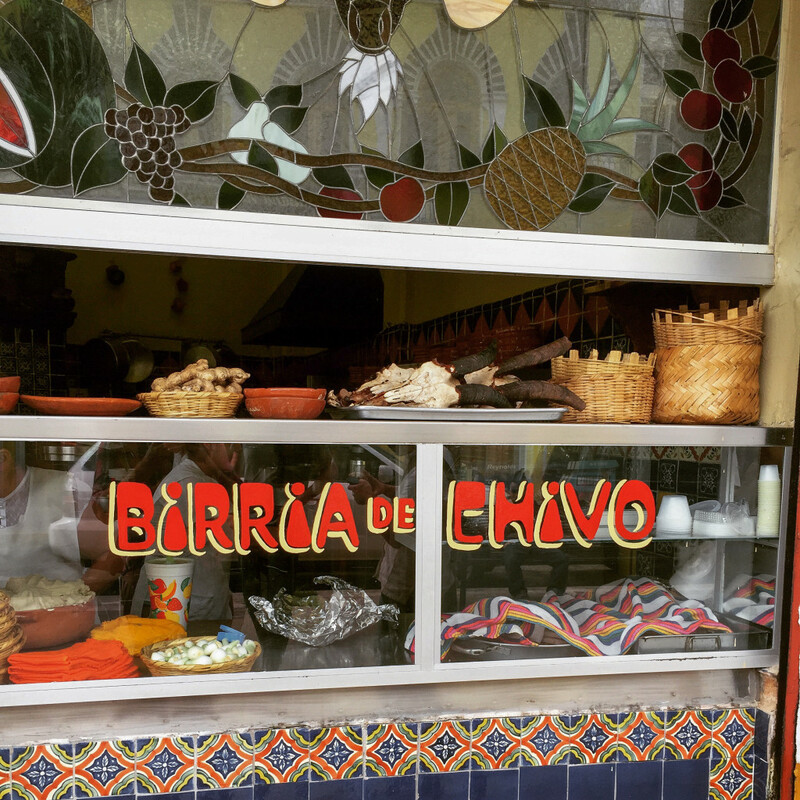 Yes, you heard that correct – good burgers in the middle of Mexico. Mine was a beef patty wrapped in what was basically smoked ham. It’s no wonder why Tania wanted this to be her first stop. With our culture quota filled and our beer deficit balanced, it was time to heat to Puerta Vallarta. It may be a sign of how old we are getting, but we managed to make it on the 8:00 AM bus for a short 5 hour ride to Puerta Vallarta. This may not sound too exciting, but it was actually one of the highlights. A swanky bus, air conditioning, and the ability to see some of the surrounding countryside. I had a great time in Guadalajara, and was very grateful I got to see a bit of Mexico before stepping foot in the resort wonderland that is Puerta Vallarta. I’d tell you to read more about that later, but given my procrastination you likely already have. A mural, to prove we did indeed see some things. 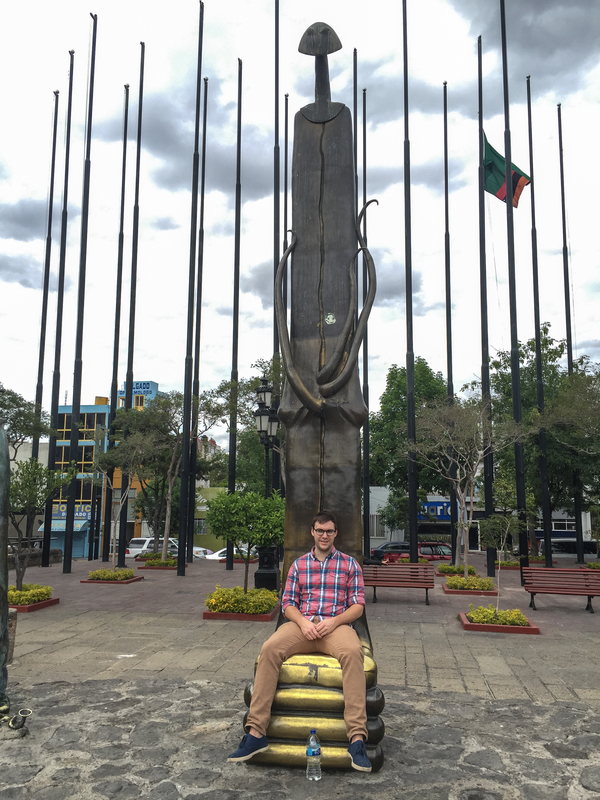 This entry was posted in Life, Travel on March 1, 2015 by Alex Allen.